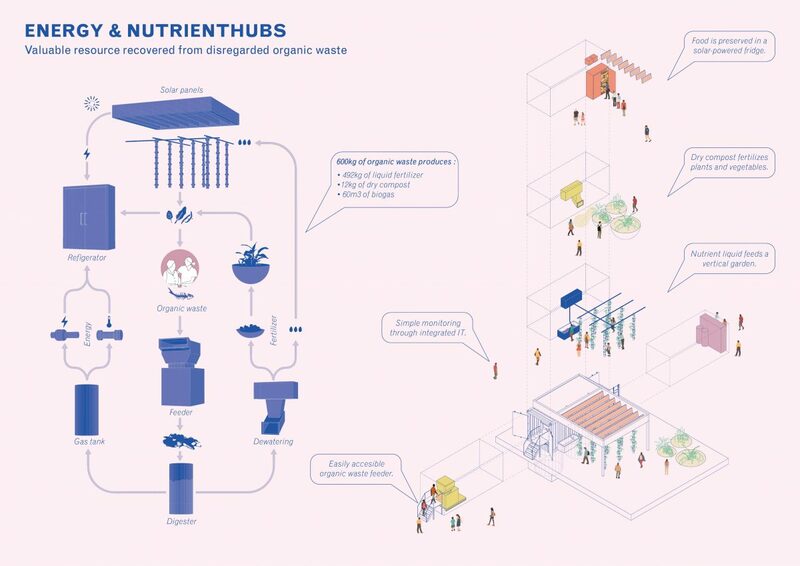 The Waste Transformer is an energy and nutrient hotspot powered by organic waste. The collected organic waste is transformed into valuable energy and fertilizers which are used for food production and preservation thus creating a circular food cycle. All this technology and innovation fits within one 20ft container which can be unfolded to an urban farm on site. 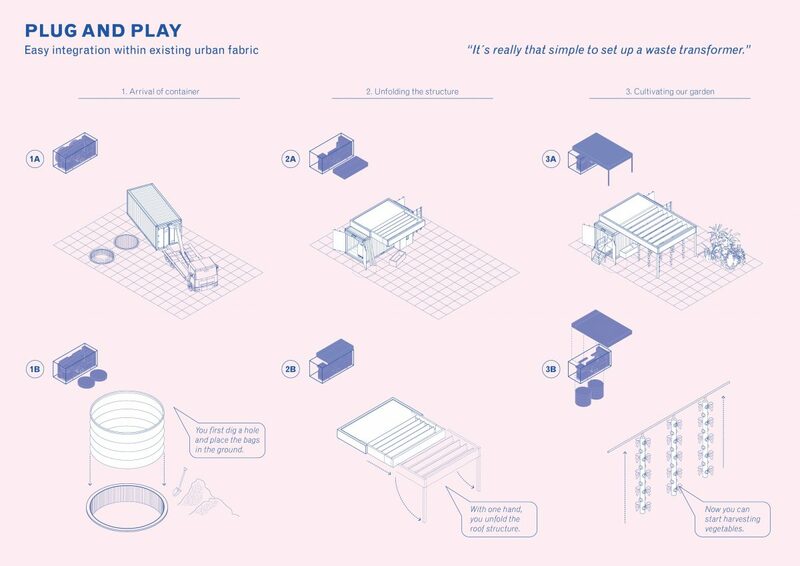 The small scale and modular Waste Transformer perfectly fits within African megacities and other dense contexts. 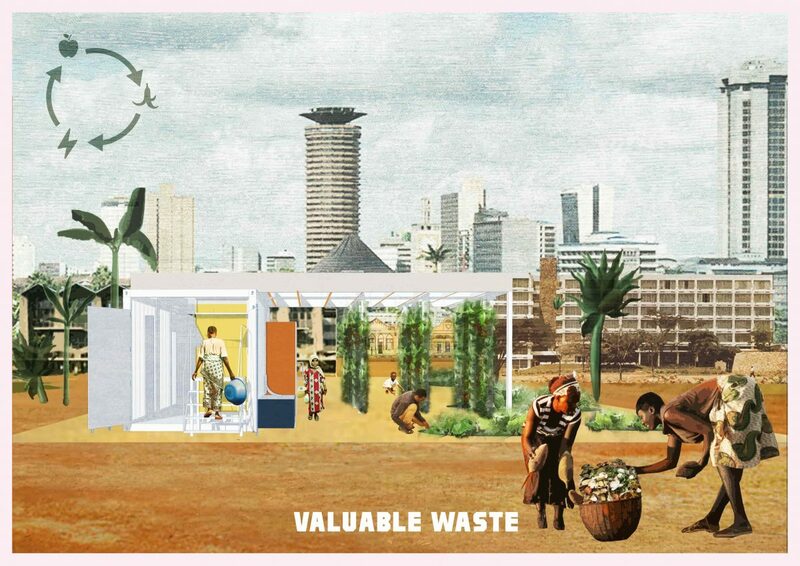 By embedding a Waste Transformer within communities it envisions that communities generate their own energy, secure clean and safe environments, win back nutrients from their waste, grow wholesome long lasting food, while ensuring that nothing is wasted. Currently 80% of waste in developing contexts is organic, most of which travels on diesel to dumps or landfills. This practice causes extensive loss in nutrients, energy and financial value with a negative environmental impact. By addressing waste locally it will provide entrepreneurs the opportunity to create positive change. 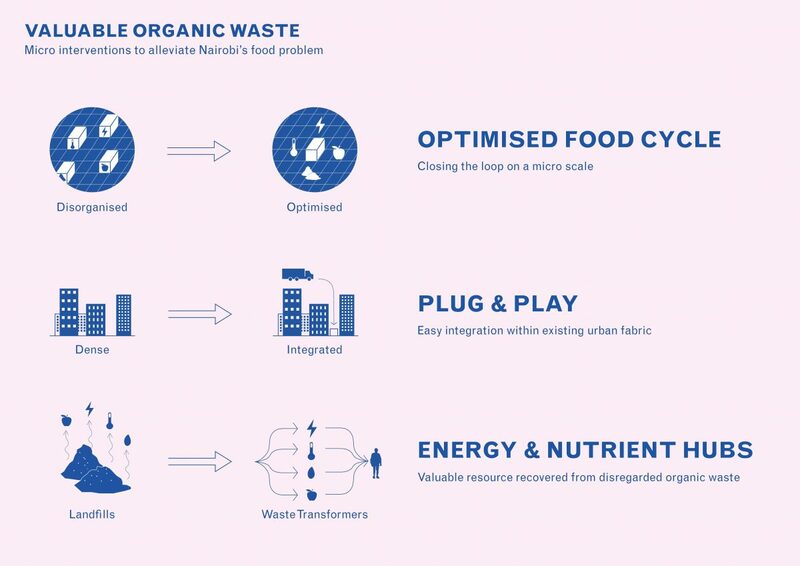 The placement of a network of Waste Transformers in Nairobi, will equate to a buzzing community of thriving urban environments and a blueprint for African mega-cities and other contexts. The green electricity (transformed from biogas through a CHP) will power the installation itself. The residual heat will be used to keep fridges cool for food storage. The liquid in the waste will be transformed into a highly nutritious fertilizer that will be used to feed the plants growing in the urban farm. 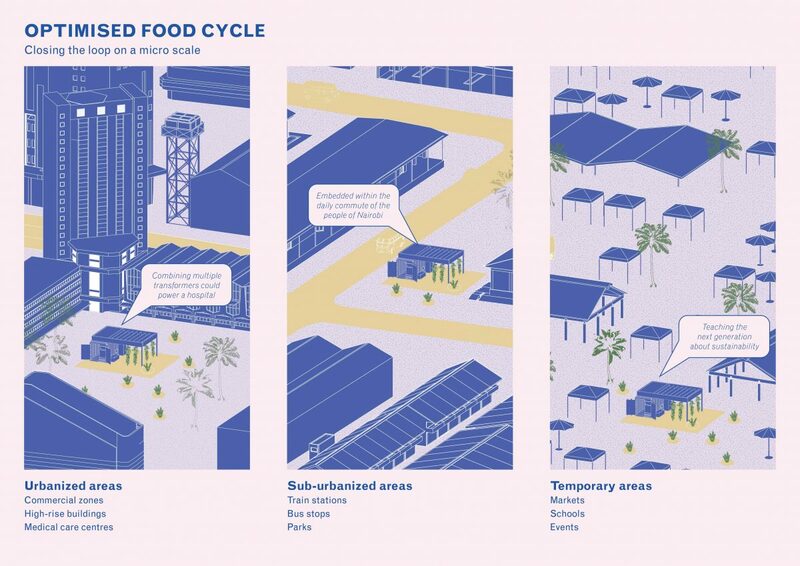 A Waste transformer redefines the current food system, from irrigators and farm equipment powered by diesel, to an urban farm powered by green energy. The production of new food will be generated from yesterday’s food scraps. Transportation is no longer necessary as the value chain is decentralized and localized. With this installation, food can now be properly farmed and stored. In addition, we make waste and farming personal again, which directly translates into an awareness of food production, food storage and smart energy solutions. Commisioner: What Design Can Do?